Toyota has unveiled the next-generation Corolla Hybrid at the 2018 Paris Motor Show. 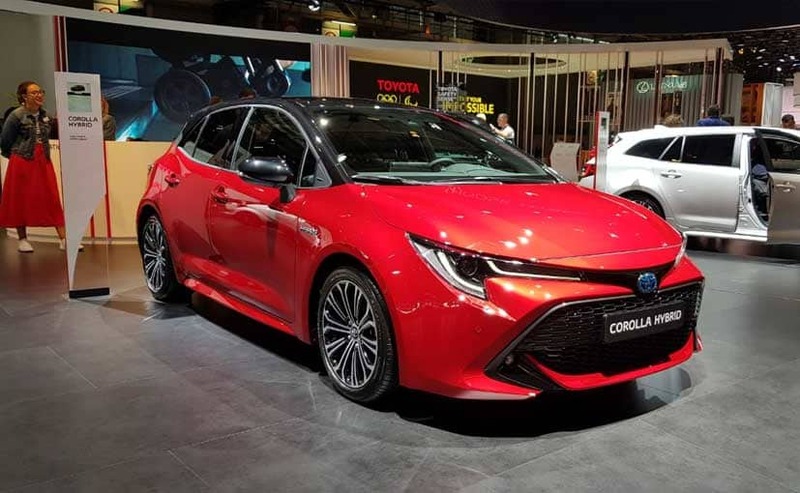 The Corolla Hybrid is based on the latest-generation Corolla Sport hatchback that was introduced earlier this year. 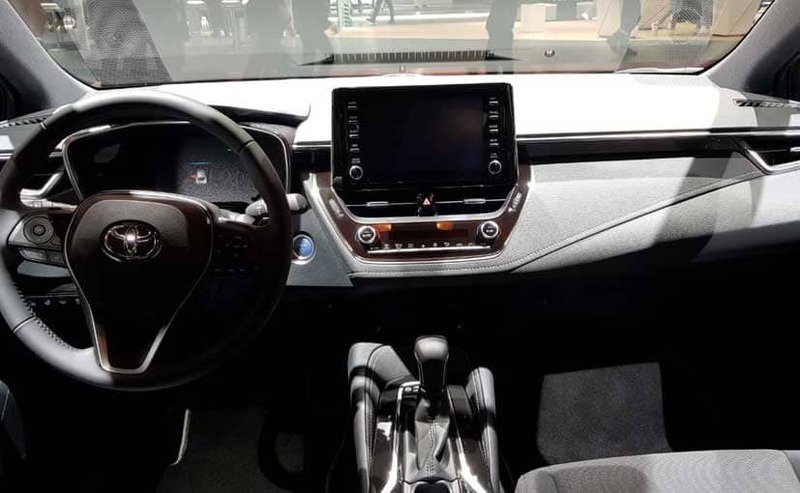 The Corolla Hybrid on display at the ongoing Paris Motor Show is powered by a 1.8-liter, 4-cylinder, Dual VVT-i petrol engine coupled with an electric motor that in combination develops 98 bhp at 5500 rpm and 142 Nm of peak torque at 3600 rpm. 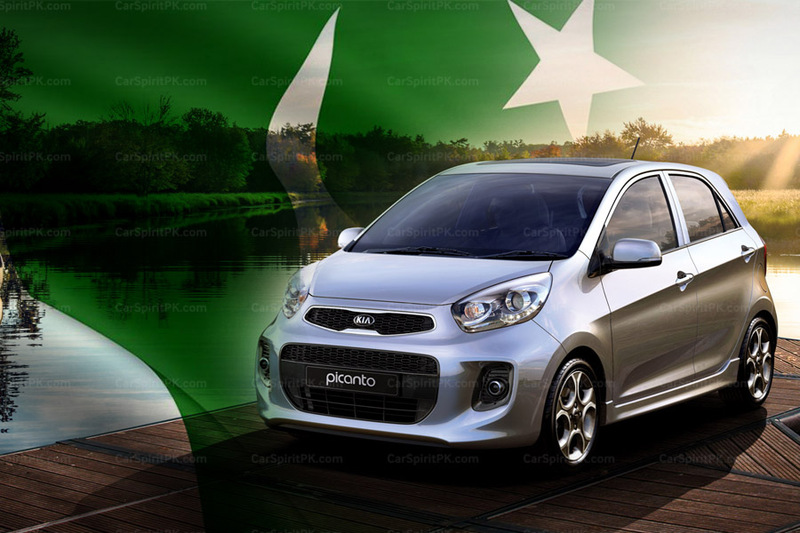 The engine is mated to an E-CVT gearbox and can accelerate from 0 to 100 km/h in 10.9 seconds, while reaching a top-speed of 180 km/h. 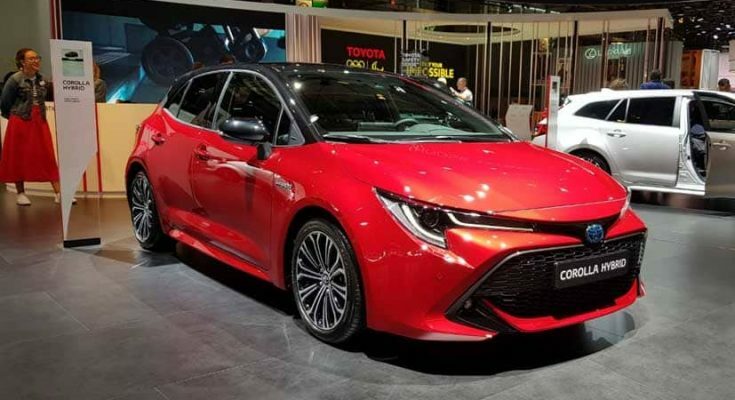 The Corolla hybrid variant looks almost similar to the Corolla Sport hatchback. 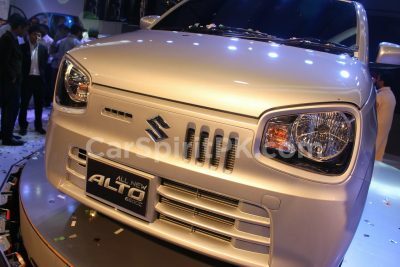 It has a hunkered-down front having a sharp profile that sports a massive grille and sleek axe-like headlamps that inset into the fenders. 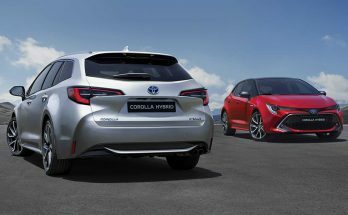 The rear is again very similar to the Corolla Sport hatchback and has a blue-ish Toyota emblem representing the Hybrid trim. With dual-tone red and black paintwork, the Corolla Hybrid on display has quite a sporty stance. On the inside, the cabin gets a dark grey treatment with single-stitched soft-touch upholstery and leather wrapped steering wheel. The seats however, are finished in fabric. Toyota’s ‘Safety Sense’ technology that detects bicycle and pedestrian movement is standard along with other safety features. 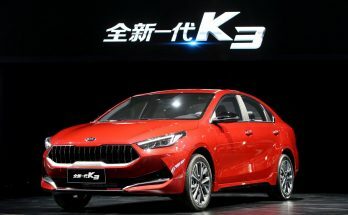 Furthermore, Toyota also hinted that it could use the new Corolla hatchback as the basis of its next GRMN branded performance model, following in the footsteps of the Yaris and the all-new fifth-generation Supra. 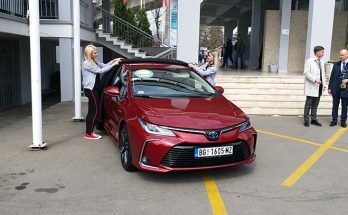 Speaking to Auto Express at the Paris Motor Show, Toyota’s European president and CEO Dr Johan van Zyl, explained the company’s process of identifying vehicles worthy of GRMN treatment. 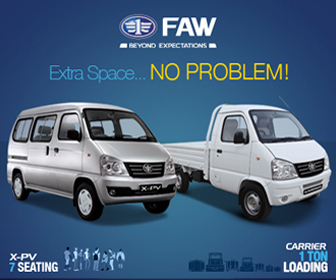 Our aspiration is to offer a wide spread of GR vehicles to our customers to bring the excitement to the brand. So as we go along with our product range we will look at every one of the products and say ok what is possible? Does this model suit the GR brand? 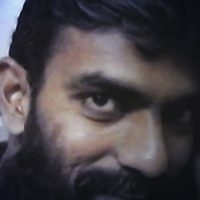 Can we make some excitement with it? I think that’s what we are trying to say with the fact we have launched the 2.0-litre hybrid in the Corolla range. We are saying it is possible. We can make a more exciting, sporty hybrid. The technology is there. It’s just the way you tune it.